LONDON -- TechXLR8 -- The value of economic activity enabled by blockchain technology will reach US$2 trillion within the next 12 years, according to IHS Markit analyst Don Tait. Blockchain 360 is now Blockchain for Business Summit! 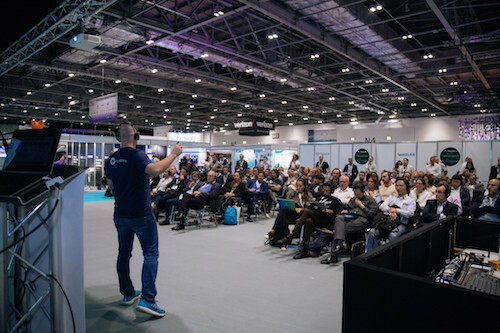 Join us at TechXLR8 in June 2019 to cut through the hype and discover what blockchain can do for your business. Save £200 on your conference pass with VIP code "TechX365". Book now and your discount will be automatically applied. Tait is not alone in thinking that blockchain will play a significant role in the global business machine, though estimates of the economic value that blockchain could deliver are understandably variable. Analyst firm Gartner predicts the value of blockchain-enabled economic activity to be worth $176 billion by 2025 and then grow rapidly to be worth $3.1 trillion by 2030, $1.1 trillion more than IHS predictions. Meanwhile, a World Economic Forum report from 2017 estimated that 10% of global domestic product (GDP) would be stored on blockchains or blockchain-related technology by 2025. Right now, the blockchain market is still very young. Tait estimates that between only 2% to 4% of blockchain products are live and commercially developed, with the rest still in trial stages. The number of commercially available products seems certain to grow, noted the analyst, as more businesses adopt and develop the technology to create more innovative products and services. The Blockchain 360 presentations at TechXLR8 were well attended. Tait added that as the number of companies endorsing blockchain services grows, the potential number of new applications for the technology will increase also. With ever greater numbers of blockchain products being produced to cover a wider spectrum of functions, blockchain technology looks set to be a vital economic data tool, revolutionizing the way most sectors handle, store and exchange their economic data. Blockchain can help startups gain the trust of investors and help them to attract funding, explains San Francisco-based Alexandra Alden. What Is the Future of Blockchain? Distributed ledger technology is set to play a major role in the global business ecosystem in years to come, but what needs to be done now to get the tech adopted? A Blockchain 360 panel discussion at the TechXLR8 event in London debated the issues. Blockchain is still most closely associated with cryptocurrency developments, but what else is the distributed ledger technology being used for? The volume of virtual/augmented reality devices sold this year is expected to be almost 50% higher than in 2017, according to analyst house CCS Insight.